Did you know that there are 212 recognised breeds of dog in Australia? Dog Shows break them up into seven groups, depending upon their size and purpose. The Royal Canberra Championship Dog Show pits the best of the best against the best of the best across all seven groups, with extra classes for juniors and handlers. Make sure you stop by and make some furry new friends! There is limited space available for Dog Show exhibitor camping, please complete and return the form below to secure you place. The Dog Show is located between Gates 4 & 7, Map Reference L7. A number of DISABLED PARKING SPACES will be provided for dog exhibitors who hold and display a Government issued disabled parking permit. Cars with no permit displayed and parked in the disabled parking area are liable to be towed away under the provisions of the By-Laws of RNCAS. Exhibitors please be advised that temporary structures (gazebos/tents) may now be erected under the power lines as long as they do not go over the height limit of 2.5 metres and are earthed. Without temporary structures being earthed there is an electrical shock risk. Smaller metallic tent frames/gazebos installed at EPIC under or near the HV overheads, must have metallic ends in direct contact with the finished ground level. No insulating caps or feet or concrete bases are to remain between the temporary structure’s framing and metal parts that are contact with the ground. Many tents/gazebos for example have moulded plastic caps for neatness on the ends of metal tubular framework. Gazebos such as this must not be used. The intent is to electrically ground metallic framing by having all metallic frame ends in contact with the soil. This establishes a safe practice to mitigate electric shock. Dog show exhibitors should please note that during the operation of the ActewAGL Royal Canberra Show there is a dog policy in effect, where dogs are not permitted on the grounds. Registered medical or companion dogs are excepted – proof must be provided. 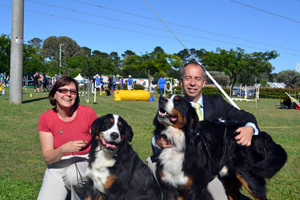 Show dogs entered in the Dog Competition of the Show have been allocated a designated Show Dog Zone as marked on the Show Map. Show Dogs are not permitted beyond the boundaries of this zone. Exhibitors taking dogs beyond this area may face disqualification or cancellation of entries with no refund of fees, and removal from the grounds.